A seasoned benefits broker should be able to offer some insight on how to get your late adopters on board super early in the season. If they’re able to provide you with a communications timeline and suggested messaging, it will save you time and effort during the busy open enrollment period. Consider offering perks to specific individuals who have a history of being the last to fill out their benefits information — you might be surprised how a small benefit can bring people around quickly and save you frustration! Training the trainer is a concept that works well for a variety of different projects. When your benefits broker takes the time to run through the entire program thoroughly with the HR team, they’ll feel much more confident answering questions from staff as they arise. Your broker should provide you with the solid documentation and communication structure that you’ll need to be successful. Technology can make life so much easier, and open enrollment is no different. However, when technology is introduced late or not fully de-bugged before introduction, it can cause a great deal of added stress to a period of time when you are already struggling with priorities. Plus, users are not likely to adopt technology solutions for their open enrollment process that they don’t trust to be foolproof. 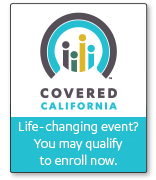 They need to have a high level of confidence that everything is going to work exactly as planned so they don’t end up with missing information on their open enrollment forms once they’ve been processed. When your benefits broker introduces technology early enough to test and fully work out the bugs, you’re in for a much more pain-free process throughout the enrollment period. From technology to training and communication, your benefits broker is a key part of ensuring that your organization’s open enrollment period flows smoothly and flawlessly. You can always be confident that you are receiving the best possible service from a knowledgeable professional when you work with Innovative Broker Services. Their brokers are experienced in helping businesses just like yours work through a pain-free open enrollment period. Contact Innovative Broker Services today at 916-932-2864 or via email to info@innovativebroker.com.